Born in Moscow. Soviet and Russian ballerina, pedagogue. People’s Artist of the USSR. The USSR State Prize Laureate, Lenin Komsomol Prize Laureate. Vasiliev Brothers State Prize of the RSFSR Laureate, State Prize of the Russian Federation Laureate, UNESCO Prize Laureate, Anna Pavlova Paris Dance Academy Prize Laureate, Simba Academy Prize Laureate, Crystal Turandot Prize Laureate, Marius Petipa Paris Dance Academy Prize Laureate (with Vladimir Vasiliev). Companion of the Order of Merit for the Fatherland (3rd and 4th class), Order of Lenin, Order of the Red Banner of Labour, Order of Friendship of Peoples (twice), Golden Medal of the All-Union Ballet Artists Competition in Moscow, Golden Medal of the Ballet Artists International Competition in Varna. 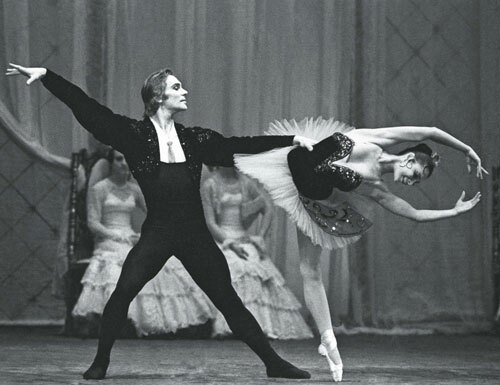 Great Russian ballerina Ekaterina Maximova was known under a name of Madame No. However this «no» appeared only when she turned down some offers mistrusting her own powers. In all other cases she was Madame Yes, which could overcome any kind of pain and anxiety. Besides that she could always rely upon her teacher Elizaveta Gerdt, husband Vladimir Vasiliev and mother Tatyana Maximova. These people could inspire the ballerina and make her believe in herself. She was a fidget in her childhood. People always wondered how perfectly she moved running against her friends or climbing up a tree. They said she should be a ballet dancer. Her mother also supposed so. Teachers of Moscow Choreographic School couldn’t stand against Ekaterina Maximova’s charm but her temper was not so nice. She was obstinate and thin-skinned. Though, she could come over it later. The Bolshoi could grasp her talent. A year before graduating from the dance school she gloriously performed the role of Masha from The Nutcracker and let everyone see her true greatness. «She has everything that a great ballerina needs, — Galina Ulanova said later. — Her technique and acting skills are excellent. She is truly original. She doesn’t copy anyone and tries to find her own way. So intelligent and exacting.» But Ekaterina Maximova had to work hard to let her teachers and audience see her real abilities. After her performances in Giselle, Chopiniana, The Fountain of Bakhchisarai, Cinderella and Paganini she became known as a lyrical ballerina only. Everyone tried to talk her out of performing the role of Kitri in Don Quixote. She tried to hold her ground and her bright and bombastic performance brought her a label of a gala-comic dancer. «I was tragic Juliette in Romeo et Juliette by Maurice Bejartand, cruel Rosa in Roland Petit’s Blue Angel, — Ekaterina Maximova recalls. — I always loved trying something new and it let me go without fear. Ekaterina Maximova always had a strong ally. 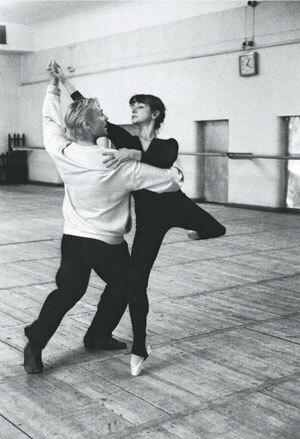 Her husband Vladimir Vasiliev, a famous dancer and choreographer is her inseparable companion on the stage and in real life. 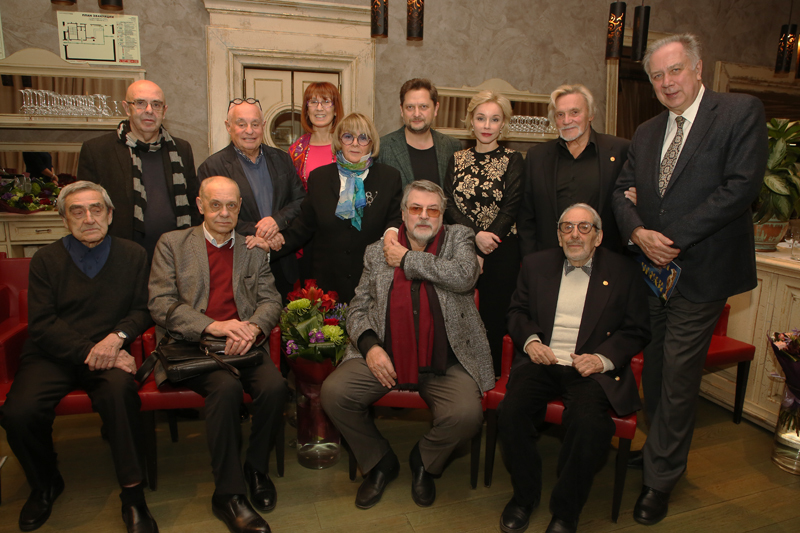 They met each other in the choreographic school, performed in the graduation spectacle together, joined the Bolshoi Theatre troupe simultaneously and became People Artists of the USSR on the same day. She was a great ballerina, companion of many orders and prestigious awards winner. And she was aware of her worth. But she never considered herself a star or a prima. She never was conceited but had ambitions and could make out her case and prove her abilities. «The dance is my life, — Ekaterina Maximova once said. — It’s how I express my feelings, my emotions. This is music. And ballet has something… We can say «I love you». And everybody says it many times in his life. But there is always something between the lines.